Vintage RCM: Where are *my* roses??! Hello! Today’s post is from exactly seven years ago, on the Feast of St. Thérèse of Lisieux 2009 wherein I prove that I can be jut as bratty and entitled as St. Thérèse was reported to be in her childhood. 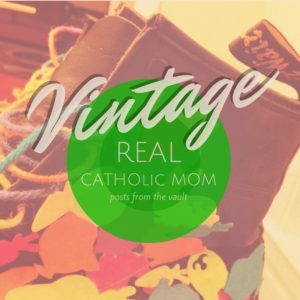 I hope you enjoy this Vintage edition of RCM. Today is the Feast of St. Thérèse of Lisieux, a Doctor of the Church. I have grown to love her “little way,” since most days I feel (okay, act) pretty little, myself. Anyway, I have heard wondrous stories of people experiencing the fulfillment of Thérèse’s promise to “let fall a shower of roses” from heaven. And, earlier today, I was wondering – quite unattractively, mind you – where are MY roses? Alright, so it’s totally selfish. I get it. Patience is a virtue and all that. But my husband and I said the St. Thérèse novena over the past nine days, and I was imptiently wondering, not if, but WHEN my roses would show up. Today also happens to be my spiritual director’s feast day. She said they don’t celebrate birthdays in her religious order, but they do celebrate their feast days, so I thought I’d drop off a card on my way to another appointment across town. Turns out, she had taken her feast day off, lucky lady. I dropped off the card and, since she wasn’t there, I had a few extra minutes to say a quick prayer in the on-site chapel. My eyes fixed on the tabernacle straight ahead, and I had to smile. There, on either side of the tabernacle holding the precious Blessed Sacrament of Jesus Christ, were two vases holding the most gorgeous, perfect, vibrant pink roses I have ever laid eyes on. Now, I know those roses weren’t originally intended for me, and yet, in a way, they were absolutely meant for me. I think Thérèse was showing me, in her simple yet profound way, that my consolation always has been and always will be waiting for me in the Tabernacle. She used “my” roses to adjust my attitude and point me in the right direction. Thank you, fair Maiden of Lisieux, for the heavenly reminder. May Jesus be praised now and forevermore! There might be a slight bait and switch going on with today’s post title. While it is highly probable that somehow, somewhere on the interwebz there is raw footage of me actually beatboxing or rapping or otherwise making a fool of myself for the Gospel, I’m not unearthing said footage today (cue my mother breathing a sigh of relief). Read the rest here, y’all, and let me know what you do to keep yourself immersed in and open to His Living Word. Good morning and happy Sunday! Today’s readings had me staring down the powerful (and I’ll just say it – intimidating!!) 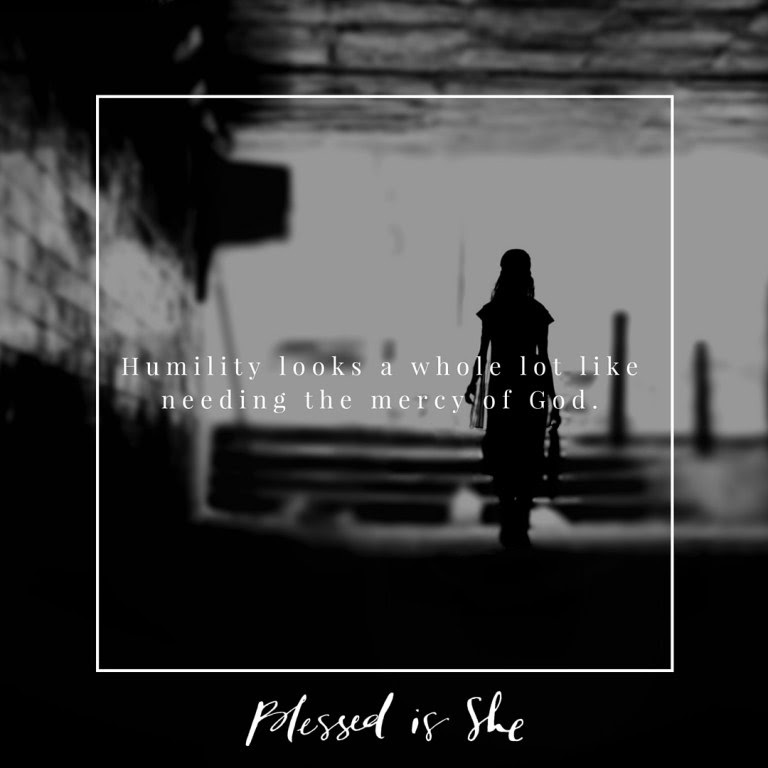 Litany of Humility prayer over at Blessed is She. As scary as some of the words of the LoH might be, true humility is not the same as humiliation and embarrassment; rather, authentic humility reminds us of right order – that God is God and I am not – and thanks be to God for this truth! Find today’s Scripture readings and my complete reflection here. Have a wonderful Sunday, friends. God bless you. I realize it’s been a while since I’ve disciplined myself to fill this space with anything meaningful. Lots going on, lots going on. These days, it’s easy to be tempted toward discouragement. There’s so much darkness in the world – even in our own backyards – yet at each turn I’m reminded that, in and of myself, I am powerless to fix any of it. Still, we are reminded by St. Paul’s letter to the Thessalonians in today’s First Reading that we can truly live if we “stand firm in the Lord.” Stand firm … what does that mean for us as Catholic Christians living in modern society? How are we bringing the light of Christ into – and despite – the darkness of the world? Truly, are we that much different than members of the early Church, forging our identity as Christ-followers in the face of a culture that mocks and despises him? Our Gospel reading from St. Matthew tells us that we do not know the day or the hour that the Master will come. We are called to be watchful and ready for Him. Are you ready? I can honestly say that I’m not there yet, but I am really striving to be! Some days it’s all I can do to be sure that my shirt isn’t on inside out and the kids are fed. But I keep forging ahead, one flip-flopped foot in front of the other, one imperfect prayer at a time. I do sincerely believe, though, that we often underestimate the power of our humble prayers, faithfully offered. Isn’t that what God really wants? For us to return to Him time and time again in the quiet conversation of our hearts that says, “I’m not perfect, Father, but I am here – I keep showing up – and I offer You all that I am, warts and all”? St. James tells us that the prayers of a righteous person are very powerful. So, are my prayers enough to help change this world I live in – to change myself? I choose to hope this is true. Speaking of powerful prayers, today the Church celebrates the Feast of St. Monica, a notorious intercessor whose son, Augustine, was brought back to the Faith in large part because of her steadfast prayers for his conversion. I am honored to share my thoughts about today’s readings and Monica’s life over at Blessed is She today. I hope you’ll ponder and pray with me, for nothing shall be impossible for God. Not the messiness on my kitchen floor or the brokenness of my life … not even my eternal salvation, found in Him alone. Good morning or good evening or good night, my friend! Whatever time of day it is, whatever you are doing and wherever you are, YOU are called to be on a mission from God, for God, and by God. However you can manage it or fumble it or hit it out of the ballpark: YOU are called. I hope you’ll take a moment to hop over to Blessed is She to ponder the Scriptures of the day and embrace the Word your Heavenly Father has prepared just for you, just for today. I hope you’ll take some time with Jesus to read, reflect, savor, and be fed. Now is the acceptable time to answer His call, dear one. Right here is your mission field … exactly where you are. Thanks be to God.